America Ferrera and her husband are more than just a hot Hollywood couple. 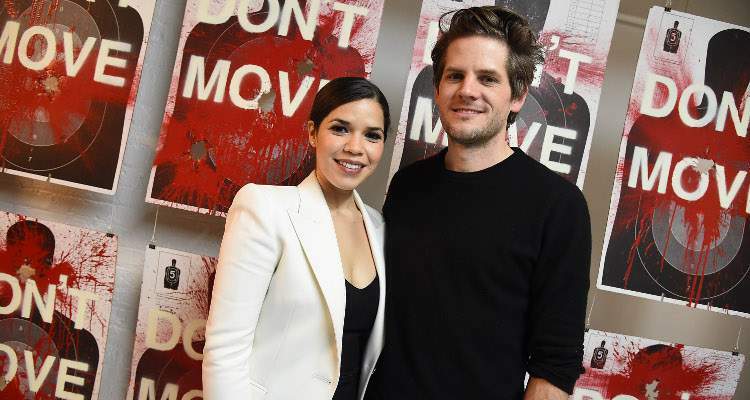 Together, America Ferrera and Ryan Piers Williams are socially and politically active, fighting tirelessly for causes they value. Keep reading to learn all about him! Can there be anyone cooler than America Ferrera?! The actress/producer/writer is doing what she can against sexual harassment through the #MeToo campaign. She’s also challenging the Trump administration over its immigration and taxation policies. And she’s far from alone in her fight. America Ferrera’s husband, Ryan Piers Williams is championing the same causes. Now that she is bringing the issue of immigration to a planetary level with American Alien, we’ll shift the focus to her better half. Find out about Mr. America Ferrera, right here in our Ryan Piers Williams wiki. Much like his multi-faceted wife, Ryan Piers Williams is a director, writer, and actor. The El Paso, Texas native graduated from the University of Texas at Austin and the School of Cinematic Arts at the University of Southern California. He acted in movies like Muertas, Blues, and Tomorrow Comes Today, but his true calling was behind the camera. A then 36-year-old Williams met Ferrara when he cast her in a student film while at USC. He was in the class of 2005, and she took 10 years to get her degree, graduating in 2013. Among his writing and directing credits, his most famous is The Dry Land, which was featured in the 2010 Sundance Film Festival in the dramatic competition. The movie starring Ferrera, Ryan O’Nan, and Wilmer Valderrama follows a soldier who returns from a tour of duty and struggles to adjust to home. The movie won the Grand Jury Prize at the Dallas International Film Festival, the Best International Feature Award at the 64th Edinburgh International Film Festival, and a Voice Award, all before it was released theatrically and digitally! His second feature, X/Y which Ferrara produced and starred in, released in 2014 and premiered at the Tribeca Film Festival. His next feature, Staring at the Sun was awarded the 2015 San Francisco Film Society/KRF Filmmaking grant for screenwriting. While still in high school, Williams worked at an ABC affiliate news station editing news videos. Back then, he already made up his mind to pursue filmmaking. After graduating from college, he worked with the Ocean’s trilogy director Steven Soderbergh and worked in post-production for two of the movies. While films have been his primary medium, he often takes themes from his movies and puts it across other platforms like painting, photography, and video. According to his website, he “uses his artwork to examine both the serene and caustic sides of human nature,” which formed the basis of his first solo art show, Monsters & Landscapes series. The show debuted in New York City on January 9, 2015. Ferrera and Williams got engaged in 2010 and married in 2011 in her Ugly Betty co-star, Vanessa Williams’ home. While the entire cast of Ugly Betty and The Sisterhood of the Travelling Pants were present, her co-star, Judith Light officiated their wedding. The couple celebrated 12 years in June and are still going strong. She credits him for transforming her life and changing her mindset towards fitness and body images. They are also activists for change together. The couple has been decrying the Trump administration’s stance on immigration and medical aid for a while now. Since the 2016 presidential election, the shifting political climate inspired Williams, Ferrara, and Wilmer Valderrama to gather “culture leaders, influencers, and trendsetters” to form Harness.